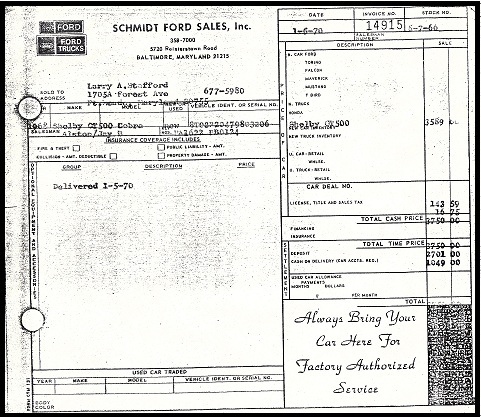 Schmidt Ford was located in Baltimore, Marland at 5720 Reisterstown Road. 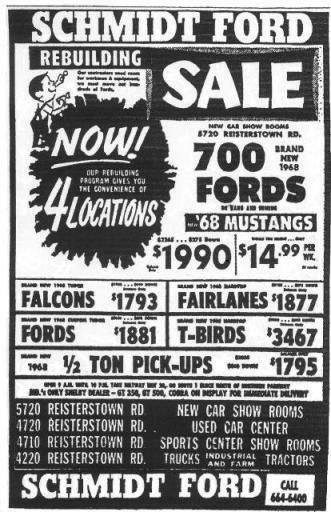 Archway Ford was Baltimore's dealership prior to 1968. 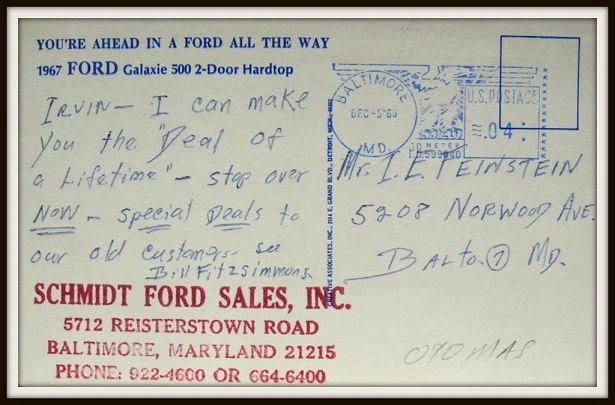 Rod found this postcard sent to a prospective customer. It is time for the "deal of a lifetime" ! Schmidt sold over 100 Shelbys in two short years. 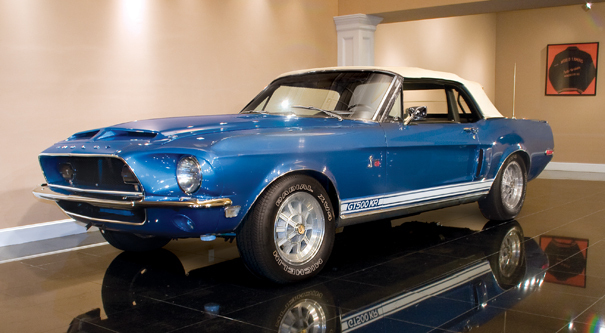 The dealership had its best year selling 65 1968 models. This very unique orange KR was sold new at Schmidt in January 1970. It is nicknamed the "Coralsnake" and is # 3206. 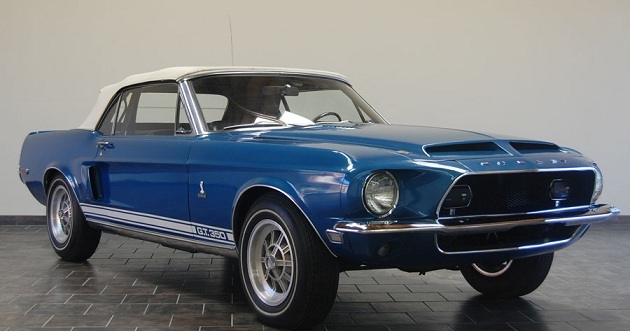 This beautiful blue GT350 was a Schmidt car. The car is # 3426. 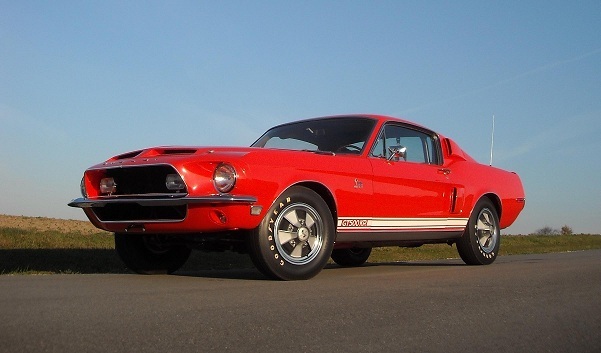 This is the GT500 KR version in the same colors, also sold at Schmidt! It is # 4080. If you have anything related to Schmidt Ford, please send it over for inclusion in the article.